To make sure you get the best deal we'll show you great prices from all of our drivers, including BIG EXPRESS, if they're available on the day of your move. Have a question for BIG EXPRESS? No problem, send them a message and they'll email you back as soon as possible. If you have a more general question you might find it answered in the FAQ, or you always contact one of our brilliant customer service team. * BIG EXPRESS won't be able to see your email address. Please note: We do not transport pianos. Big Express Man with a Van service offers you a reliable, affordable and efficient option for moving jobs. Our Man and Van are uniformed, professional, friendly staff which will work hard to get the job in hand done and leave you with a smile. We know all moves are unique and different and that's why we have a range of two different vehicles to guarantee we meet your moves requirements. 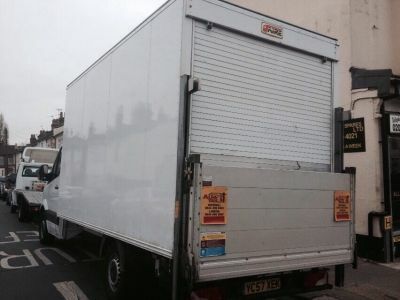 Vans for flat moves and Luton Vans for large house removals are available. No matter how big the job is, we will provide you with as many men and vans as required. Some man and van companies charge very high rates compared to ours. If this is your first time hiring a moving company, you would not know how reasonable the rates are. Although you don't want to go with a cheap cowboy who will let you down on the day or even worse, damage your belongings. What you need is a professional company which has very competitive pricing structure and are professionals which take pride in the service that they provide. Request a call back we are always happy to help. ****DO NOT USE THIS COMPANY**** The driver did not inform us that the mirror was bigger than him and he could not move the mirror - lying really does not help the situation or our shockingly appealing experience using their service. We bought a larger mirror following this incidence which took only one man to transport the mirror with no problem. Further, the mirror was laid upright at the back of the van with very little protection. The issue was not how many men could carry the mirror, the issue was that the mirror was poorly transported and packed badly at the back of the van. We did not even receive an apology for the inconvenience caused or for the mistake of the driver! BIG EXPRESS sent a driver who could not package a mirror and transport it safely and the dropped a small wine fridge on the floor and broke it. They then asked for evidence for these claims such as pictures of the broken 6 ft mirror still in the premises and pictures of the broken fridge plugged into the socket leaking with water again without one apology for the mistake! Overall, you can tell they have no regards for their customers and can not guarantee to move your items safely from A to B, however, COMPARE THE MAN & VAN should have been on my side looking to resolve the matter fast and with very little added stress. When we booked with THE MAN & VAN we thought we were dealing with professionals, however, we have had the worst experience with our move and I am very disappointed with how you have managed this issue. There should be a dedicated complaints handling team with a telephone line as I could not get hold of BIG EXPRESS for days, and when we eventually got hold of them they took the phone off on us. PLEASE AVOID THIS COMPANY COMPLETELY!!!! The moral of the story is you buy cheap, you buy twice - do not use this company even if they are the cheapest on the page! Thank you for your further email and I am sorry that you remain so unhappy. As an online booking platform, all complaints are dealt with via email and in writing, not only so that there is a full written record of the complaint, but also so that all responses are easily forwarded to the other party. We act in an impartial way, but always with full transparency. Once we were aware of your complaint, it was handled immediately and all emails I believe were answered on the same day, if not within hours and with respect, the ability to speak with a member of the Complaints Team would not have altered the facts in this matter. To confirm our position with this, you have never provided any evidence of damage you say was caused at your move, despite very many requests that you do so. You must please appreciate that as comparison platform, all drivers on the circuit are self employed and as such any refund or compensation is taken directly from them. You are clearly unable to raise a damage claim with us if you are unable to provide evidence of this. In addition, as you are also aware, this booking remained unpaid in full. You have previously been referred more than once to our Customers' Terms & Conditions in relation to damage claims, and I do not propose to do so again. However, in line with these, we are unable to deal with a complaint if the booking remains unpaid in full. In addition, I would state once again that in the event of a damage claim we require evidence of damage; evidence of value of goods and the opportunity to send an assessor to inspect the damage. It is not sufficient to say your goods have been damaged and give an unverified sum that you wish to be reimbursed and I cannot see in any of your earlier emails that you have previously given the estimated value of spoiled goods. As you are aware, in their email of 06.08.2018 Big Express offered to process your damage claim directly, but as is standard with insurance claims, as the Claimant you would be required to pay their excess payment which is £250 and you were of course unhappy with this. You subsequently contacted us on 07.08.2018 to make payment of the outstanding £55 on the booking and following this, Big Express agreed to return to your property to dispose of your broken fridge. I would point out at this point that they did this as a courtesy as it is not incumbent on a driver, in the event of a damage complaint, to dispose of soiled goods. In addition, at that point you were also refunded £100 by Big Express. I cannot comment on whether the driver advised you that you should have ordered 2 men to move the mirror due to it's size, as clearly I was not present at the booking. However, I would state that it is the customer's responsibility to protect fragile goods prior to a move, and not the driver's, unless a packing service has been booked and paid for. I can confirm that in the absence of any evidence of damage being received, we now consider this complaint closed and no further refund will be made. However, as all service providers on the website are independent companies, you do have the option to pursue Big Express directly for any further compensation you feel you are due. I Needed a van and driver immediately to go from London to Worthing booked on line and paid . Driver and Van arrived on time very helpful polite and accommodating. Couldn’t have asked for a better service. The immediate availability of driver and van was outstanding. Our driver Karwan was extremely friendly and respectful with our items throughout the move. He arrived ten minutes early and reviewed everything that needed packing making the process much easier and taking care with fragile items. He did his best to manage the heaviest items so that we didn’t have to and was friendly and polite during the whole process and made the stressful process of moving seamless. The driver was fantastic. However I booked him on the basis of the picture which was a Luton van with a tail lift - this was not the case and it caused me (a 63 year old woman) to assist the driver with lifting a cement mixer and site box into the van - which was why we required a tail-lift!!! My move was literally a last minute job within three hours, and the first time I had to book a move. 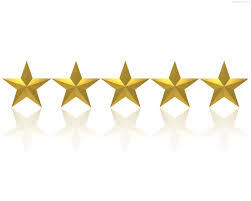 I was very pleased with the ease of the website and my driver was a pleasure to work with. Price was reasonable. Driver was great, he made the move very easy for me. Helpful, polite and thoughtful, communicated in advance. Thank you so much! In fairness, the delay was caused by the previous bookers who should have extended their booking request by at least an hour. The two men, especially Silus were incredibly efficient all afternoon and followed instruction perfectly. We had various destinations to drop off and collect items from and they were so helpful, especially when it came to visiting the skip. Cannot rate them any higher, will certainly be re-booking them when we take our items out of storage to our new home when it's ready. Ahmad my driver arrived early and very helpful and respectful. Great service. Great great driver. 100% use you guys again. Over an hour late, wouldn't accept any other form of payment for the additional hour and a half and only asked for cash, we were not told of this prior to the move. Both the driver and help lost patient and put boxes and items in the wrong rooms with no care, there is a hole in our wall that we had to fix thanks to them. One of our doors and quite a few items were damaged. Do not use, it was expensive and took ages. I want to confirm that we always try our best to make sure that the customer is happy, and we are sorry it couldn't happen this time. As far we are concerned there was no damage on the day and as we are insured the customer should have reported it on the day so we could report it to our insurance provider, but she did not. I booked the move for 11am , they still where not there at 11:40am so I called, they arrived at 12:15pm . Awful move as everything went down hill, I would not use this service again. The driver did not bring any trolleys to carry furniture - which obviously increases the time taken to carry the items. I had to arrange trolleys to save time. The amount of furniture to be carried was not massive but the entire job took three and a half hours in total - which was at least an hour more than it should have taken. In addition, I was charged an additional £75 since we overran the two hour time slot. All in all, they were far too slow and lethargic and the cost was excessive. Unfortunately our trolley was broken at the booking prior to this customer's booking which gave us no time to replace it. However, I can confirm that we did our best to get this job done on time despite this. The customer originally booked a large van which was too small for his needs, so we did the job with a Luton van without asking for a penny extra.We also changed the customer's booking date for the day after as he requested, again in an effort to help him and with no extra charge. This job could not have been done with the smaller size van he booked and he saved a lot time because of the free upgrade we provided. We tried very hard to make him happy as we aim to provide a high level of service. Driver seem to have attitude and looks like had pressure from some where else would not recommend to a friend overall 5 out of 10. Driver was good company, moved my stuff from my old house to my new one without any hiccups, even got to listen to music on the van journey as it was quick a distance!! would definitely re-book with wes in the future!! Brilliant driver, of great help, used his knowledge to help us store our items more efficiently and safely. Perfect overall experience. Big yellow are second to none the best van hire experience I've ever had and would recommend them to anyone!! Driver was delayed due to traffic. Bit of confusion regarding the vehicle size ordered, but in the end everything was loaded in, transported and unpacked. Day was far longer than expected (again traffic did not help) but no complaints. Thanks to Big Yellow Express and Compare the Man and Van. I received a quick and reliable service, along with a friendly and polite driver. 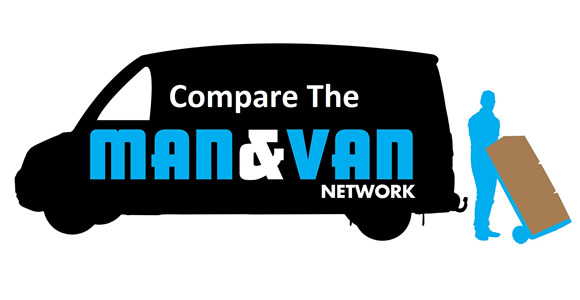 I will definitely recommend Compare the man and van network.